This original Isle of Auskerry design with its drifting cable design and corkscrew bobble finish, has a traditional feel but with a contemporary twist. 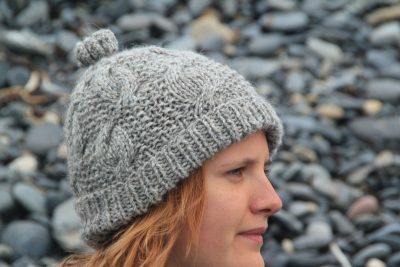 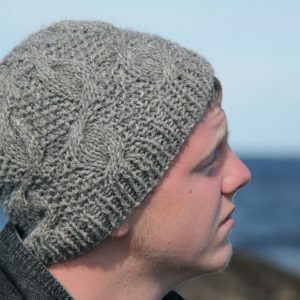 Knitted in Aran style yarn it will keep you warm whatever the weather wants to throw at you! 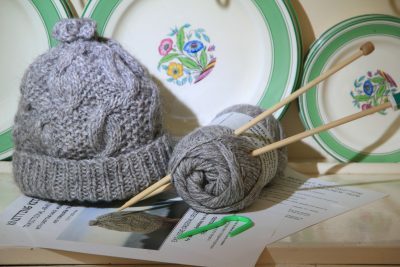 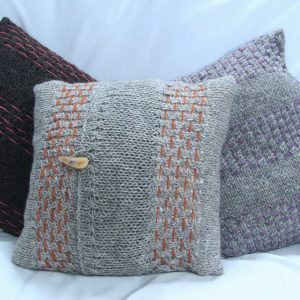 Suitable for people with some knitting experience, the kit includes full instructions in 2 sizes, bamboo needles, cable needle, and 100g of our yarn in a choice of three natural colours; seal grey, slate grey and peat black.